An essential stopping point for travelers of all kinds, this hotel near Fayetteville Cross Creek Mall goes above and beyond. Book with us, and have proximity to great shopping and local attractions, along with a restful stay. We've also got a well-appointed business center right on the premises, allowing you to take care of all your needs while away from home. Our ideally-located Fayetteville hotel is the perfect answer if you're headed to Fort Bragg or downtown Fayetteville businesses. We're only a short drive from these and many other points of interest in the area, including Pope Air Force Base, Cape Fear Valley Health System, Fayetteville Regional Airport, the Fayetteville Historic Marketplace District, and the Crown Coliseum & Expo Center. You can also discover several unique dining and shopping attractions during your time with us. *please note the minimum check-in age is 21. 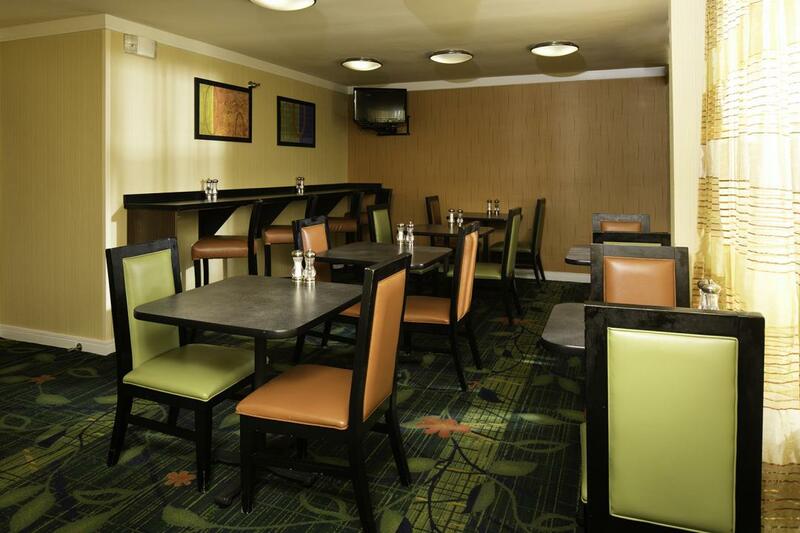 Find all you need, and more, when you choose this ideally located NC hotel. The features at our Fayetteville hotel include not only comfortable, spacious rooms, but on-site amenities to make your trip run smoothly. You'll love the complimentary breakfast, fitness center, and business center, making it easy to stay fit, nourished, and on task the whole time, as well as the option to travel with your pets. No matter what you need, we are pleased to offer more than the ordinary. Simply contact our front desk staff if you have any questions about Fayetteville room amenities or on-site offerings. For an additional $75 for your entire stay, your dog is welcome at our pet-friendly Fayetteville hotel. The Red Lion Inn & Suites is one of the few dog-friendly hotels in Fayetteville, and it is also near many local businesses that cater to pets. We have rooms specifically designated for you and your furry family member on the first floor. To learn more about our pet policy, pet-friendly rooms, and room availability, please contact our Fayetteville pet-friendly hotel at (910) 487-1400. Naturally Unleashed Pet Nutrition Center - Pet Store, Natural Pet Food, and Grooming. *please note two dog limit per room and 35 lbs limit per dog, pet-friendly rooms limited to first floor rooms only. 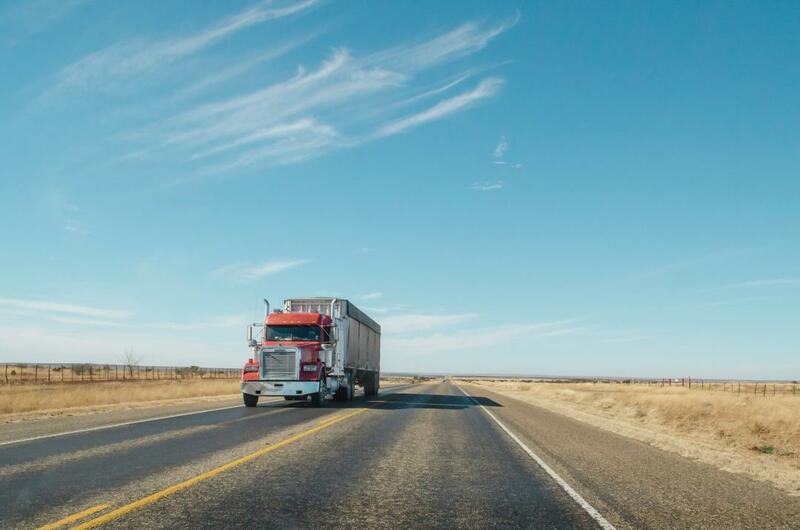 The Red Lion Inn & Suites Fayetteville Cross Creek Mall has plenty of room for large vehicles; moving vans, trailers, tractors, semi trucks, etc. After you've arrived at the hotel there is no need to leave until your final departure we have restaurants nearby and offer complimentary breakfast. 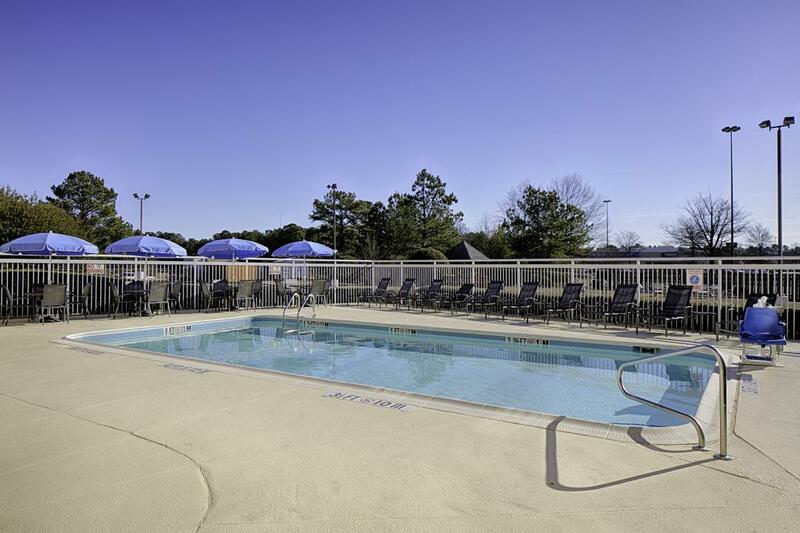 You may also enjoy our onsite seasonal swimming pool, fitness center, and business center. Boasting both regional favorites and little-known local staples, food in Fayetteville offers visitors many enticing options. With dozens of Fayetteville restaurants just a few minutes from where you'll be staying, there's also the convenience of our NC hotel's on-site complimentary breakfast. Take your pick, and experience what one of the best food cities in North Carolina has to offer. Dining in Fayetteville is memorable, easy, and diverse, with an array of restaurants only moments from our Cross Creek Mall hotel. Review some of your options below, and choose your dining experience from some beloved local favorites. Bone Fish: A top local choice for seafood brunch, lunch and dinner, enjoy numerous grilled specials, like Chilean sea bass, snapper and more. Carolina Ale House: A festive location to enjoy a football game as well as classic bar fare, including wings, burgers, and specialty salads. Mi Casita: Offering comfy surroundings, an extensive menu, and plenty of cocktail choices, this is a perfect place for family outings. The Coffee Scene: Take your laptop to this cozy spot for great blends from around the world, plus a satisfying food selection. Chili’s: A family classic, enjoy the selections from this Tex-Mex chain, located conveniently at Cross Creek Mall. Huske Hardware: Home to a renowned selection of craft beers, relax in the rustic surroundings of this beloved local brewhouse. Big Apple: With one of the most diverse menus in town, this is the place to indulge in hearty specials, sports, and karaoke. 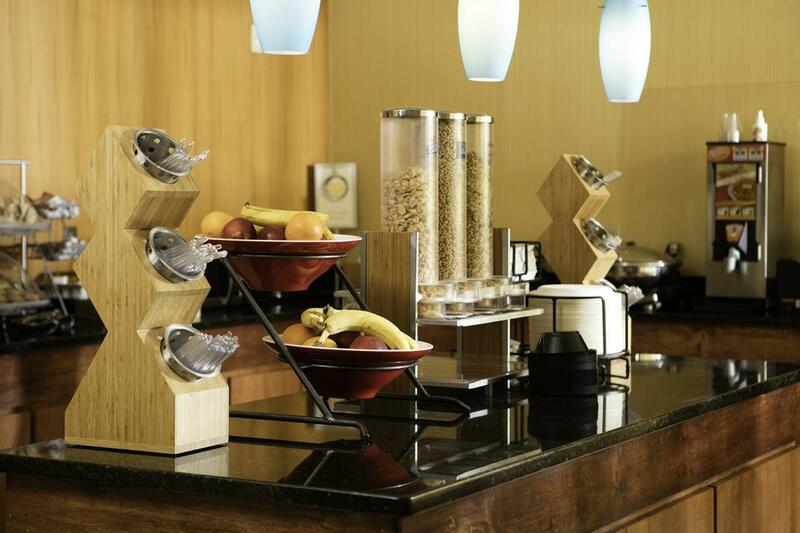 Have an easy start to your day, and dig into a complimentary breakfast in Fayetteville every morning of your stay. Served in a quiet, peaceful breakfast room, this is the ideal place to make your plans for Fayetteville travel, get ready for a day of meetings, or prepare to see to local attractions. As one of the best Fayetteville breakfast spots, we look forward to serving you. Our city is great for occasions, and we're proud to be one of the best places to stay for group travel in Fayetteville. With beautiful, spacious rooms, and attentive hotel staff eager to assist your party, Red Lion strives to make every group travel booking a memorable one. Whether heading for festivals in Fayetteville, or attending events at Fort Bragg, we'll work hard to make sure that your experience exceeds expectations. Seeking a quiet place that feels more like a town than a city? Home to Fort Bragg, Fayetteville is central to many of the top Fayetteville things to do, plus easy access to other points of interest in the region. We're the perfect place to stop over en route to Raleigh, NC, with its vibrant nightlife and university culture, or to partake in favorite local Fayetteville attractions. Enjoy excursions to Fayetteville's Festival Park for some outdoor concerts and delicious treats, or head farther out into nature to catch a glimpse of Carver's Falls. Fayetteville is known for great shopping, drawing visitors from surrounding areas, and we're home to several schools, including Fayetteville State University, Methodist University, and Fayetteville Technical Community College. Use our guide to discover your destinations while staying at Red Lion, and enjoy your travels. Curious about local flavor? Check out a festival or special occasion while staying with us, and see occasions that bring visitors from all over North Carolina and the world. Choose one of these famed Fayetteville events, and experience excitement, regional beauty, and memorable tastes. Spartan Race: Drawing runners from 30 countries, this intense course takes place adjacent to Fort Bragg, offering fantastic natural challenges. Blues – N – Brews: A dream destination for lovers of the blues and craft beers, this festival boasts over 100 different beers from around the area. Dogwood Festival: Awarded Best Festival in North Carolina 2018 by Southern Living Magazine, this is truly the place to see and be seen enjoying live music, street performances, and much more. Many of the best things to do in Fayetteville are under the radar. Use our guide to some of the true hidden gems in our city, and delight in places beloved by locals. Great food, drink, entertainment, and company are just around the corner when you visit Fayetteville. 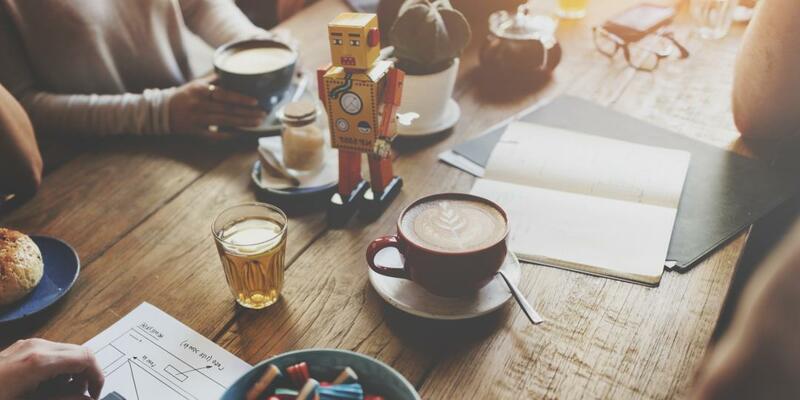 The Coffee Scene: Featuring an extensive menu of blends, as well as live music and spoken word performances, this is a dreamy spot to pull up a chair and cozy up. Lindy’s: A quintessential diner, Lindy’s serves heartwarming dishes in a family-friendly atmosphere. Fantasy Lake: A man-made waterpark featuring all manner of entertainment, including slides, swings, pedal boats, and games, bring the whole family here for a day in the sun. Local attractions in Fayetteville have something for everyone. You can settle in for a regional theater production, tee off for a round of golf, marvel at a resplendent rose collection, or take in military history, all within a short drive from your Fayetteville, NC accommodations. This children’s museum is the ideal place to while away an afternoon and keep the kids engaged, with rotating exhibits, projects, and special events for ages 1-12. 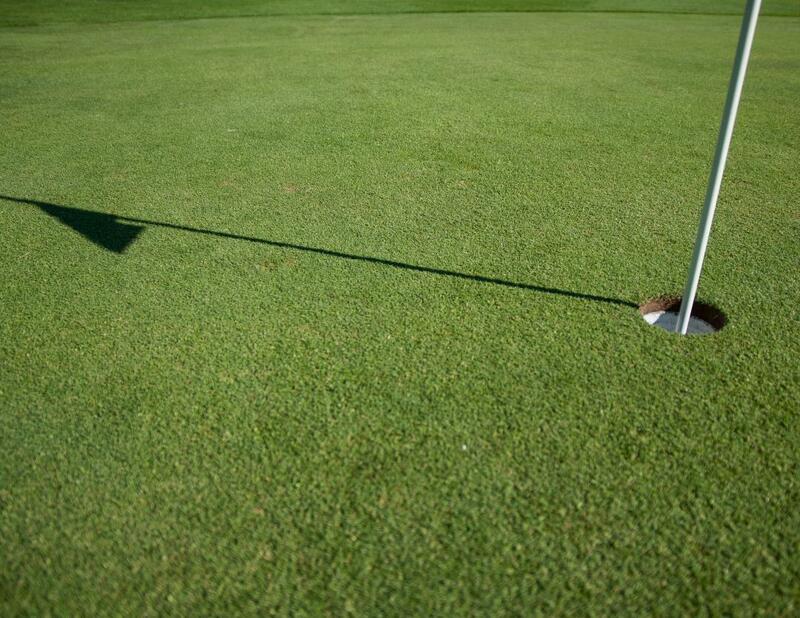 Scenic and convenient, golfers will find a well-stocked pro shop, vibrant clubhouse, and a selection of packages. A stately walk will take you to prime fishing spots, picnic areas, and a Disc Golf course, among dozens of other features. Just steps away, find excellent deals on all your favorite brands at this major shopping destination. Choose from local productions and staging of classic work at this popular venue. Home to an astonishing selection of flora, this renowned institution also hosts many classes, workshops, and get-togethers. Interested in learning more about the military legacy of the region? Take a tour of the exhibitions and commemorations of America’s military heroes. Part of the Fayetteville Technical Community College grounds, this magnificent garden features over 1000 rose bushes, a gazebo, and regular talks by horticulturists.